What Insect is this ? Sometimes it is better to keep your mouth shut and be suspected of knowing nothing than opening it and proving it. Re: What Insect is this ? Is it a beetle? How big is it? 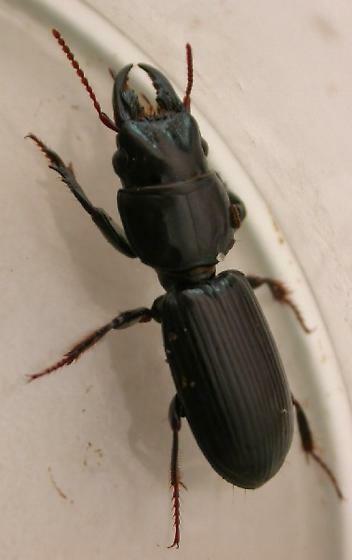 It looks like a ground beetle - if so it is your friend at they eat garden pests. 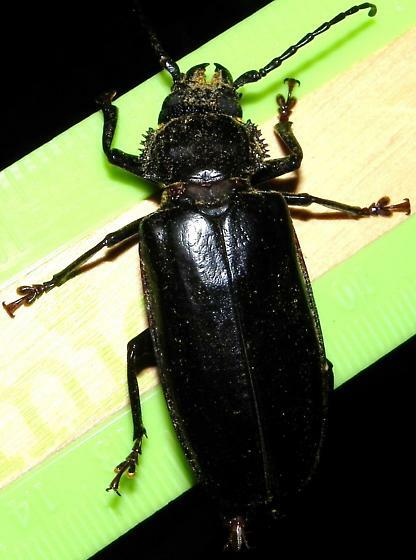 It is a beetle. Why do you want to know? It was on my allotment and it looked as if it could sting. Do the "Touch Test" then we will all know..
Now a member of the 10 Ton club.... 2013 harvested 588 Kg from 165 sq mt..
Tom - I don't think you have much to worry about.. Your beetle is tame compared to what we had loads of in Zimbabwe... Check these nippers out..
Our cats would occasionally belt into the house with one stuck to their lip... ouch!! Big problem to remove them as well. Page created in 0.396 seconds with 35 queries.